Enterprise Architecture has matured to full-fledged professions and is in great demand from large companies. But, there is a dearth of skilled and qualified Enterprise Architects. Our Enterprise Architect training courses provide you not only with a theoretical body of knowledge, but inculcate sound practical principles based on actual practice and applications. This is what makes our Enterprise Architecture Certifications so different from other institutes offering similar programs. In today’s changing business environment, mere technical knowledge will result in an “ivory tower”, “white board bound” Architect. Our certification workshops are comprehensive and exhaustive in scope and will teach you how to build Enterprise Architecture with the right dose of IT and business strategy. They will teach both theoretical and practical skills necessary for acquiring competitive edge in the profession. We provide domain expertise in the foundational areas of Enterprise Architecture and industry awareness including major business trends, architecture skills including practice expertise and personal traits such as visual and strategic thinking and people skills. There are certain procedures, tool sets and skills needed to practice Enterprise Architecture. 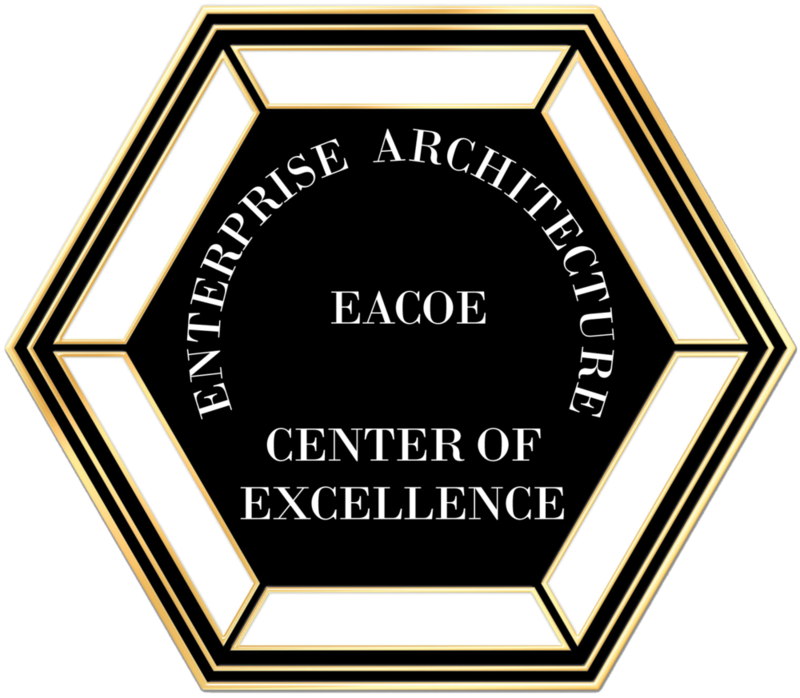 At the EACOE, we will teach you how to build an architecture starting from an assessment and stocktaking of the current environment. These include learning what kind of a company you will work for and its physical environment, the human resources, the platforms and business models and the other ins and outs of the organization. In Enterprise Architecture and strategic planning, everything needs to be documented. Our Enterprise Architect training courses will equip you with a set of formal tools like Enterprise Architecture Frameworks to facilitate implementation. Informal tools like a proper communications plan and an open dialogue for application deployment are also important. In the project preparation phase, budgets are refined and allocated, the respective teams are developed and duties assigned.